When companies grow quickly, they can often be unprepared for some of the challenges. One of the chief concerns is the tendency to become more inefficient when it comes to quality at scale. Communication among various stakeholders becomes increasingly difficult, simply because there are more of them. As a company develops, so does its influence and impact. Mistakes that a once start-up was able to get away with now have an incredibly large ripple effect. As processes multiply, growth companies could be susceptible to inconsistencies and drawn-out timelines. When companies emerge out of the start-up phase, quality standards are raised. And in order to increase quality, procedures are needed. But, a lot of companies fall into the trap of implementing too many procedures, resulting in slower execution, too many cooks in the kitchen, and the lack of ability to be agile. As growing companies develop more procedures, it is critical to ask how to increase quality in your organization while not bogging yourself down. For instance, marketing teams typically have guidelines for crafting and sending mass promotional emails. But as a company scales, there will inevitably be more emails to produce and thus more chances of human error making an entrance (think: typos, outdated information, poor formatting). This can create serious repercussions since the emails are, in theory, reaching more subscribers. And we all know that the more subscribers there are, the more impressions that can be made: each and every email makes a profound impact on the company’s brand and image. But requiring too many peer reviews among staff is a lengthy, back-and-forth process that thwarts progress and ultimately can affect lead generation. 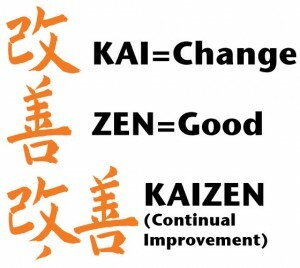 Kaizen emphasizes continuous improvement. Entry and mid-level workers are encouraged to make changes and improvements to their work as they see fit, without fear that the hierarchical system will impede these efforts. This can help prevent email mistakes. How? By creating such a culture—where employees truly feel empowered to rely and act on their instincts—a greater sense of personal responsibility is instilled. People are accountable for their actions, and this mindset resonates throughout the organization, ultimately resulting in higher work quality and attention to detail. In crafting solid marketing emails, nothing is more important. Here, we see that quality rises, but the number of procedures doesn’t. 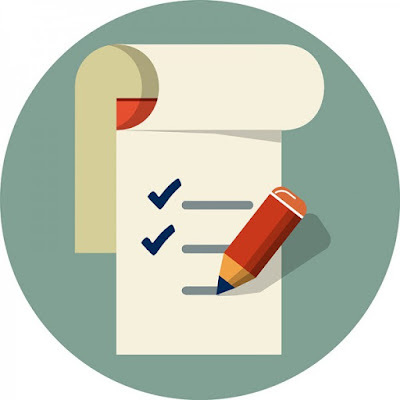 Consequential actions can refer to operational emails that ignore subscription settings. Non-consequential actions can refer to emails that simply need a sentence changed to be more on brand. 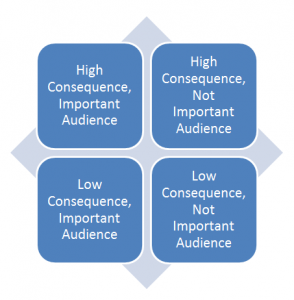 Important audiences might be major stakeholders of your business, such as top customers, the right leads, partners, and executives. For the purposes of this exercise, you can define other audiences as not important. Of course, each marketing team is unique and should thus define these terms as they see fit. Using the Matrix, we can easily evaluate and prioritize the level of process needed for any particular email campaign. Simply assign your email to one of the four boxes and then create processes that match the hierarchy of the matrix. For instance, emails that pertain to actions of high consequence and audiences of high importance should receive the most in-depth assessment, such as two employee reviews and one manager approval. Examples of such emails include those that ignore the subscription preferences of subscribers and those that are sent to or on behalf of executives. Emails that pertain to actions of low consequence and audiences of low importance, on the other hand, probably only need one person’s review. Taking the Kaizen and Consequence Matrix methods into account, it’s all of our jobs to remove obstacles and ensure that quality remains intact, even at scale. Has your company or marketing department used similar approaches to handle growth and quality assurance? Let me know in the comments below.